HB4FR and the Swiss Air Force Museum "Clin d'Ailes"
The military aviation museum "Clin d'Ailes", opened its doors on April 25, 2003. The founder members wanted radio to be an important element of military aviation into the exhibition. This was done by the amateur radio station HB4FR created by Herbert Aeby, HB9BOU, and his amateur radio friends, working on the military airbase. In addition, however, it was necessary to find a catchy subject to establish the link with aviation in general; it was ARISS (Amateur Radio on the ISS). The HB4FR "Clin d'Ailes" Swiss Air Force Museum HAM Radio Club is closely linked to the Payerne Air Force Aviation Museum "Clin d'Ailes" and is an integral part of it. The Swiss Air Force Museum Clin d'Ailes is located near Payerne Air Force Base. …is located in the middle of a very attractive part of Switzerland with the two biggest fresh water harbours in Europe - Chevroux and Portalban - and numerous campsites. Aviation attracts a large number of tourists who come to see planes taking off and landing and, in-between, visit the museum. This also means we can interest potentially far more visitors in our hobby. 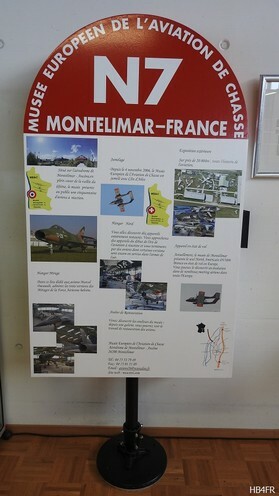 The "Musée Européen de l'Aviation de Chasse"
Since 1985, there is a museum in Montélimar (France) which intended itself for the conservation of military aircrafts generally, and a specialization in fighter aircrafts in particular. Very friendly links already exist for some time between both museums, the "Clin d'Ailes" of Payerne and that of Montélimar. A twinning took place on June 2007, in Montélimar. 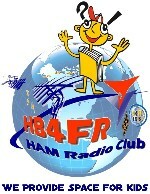 The club station HB4FR is operated by the « HB4FR "Clin d'Ailes" Swiss Air Force Museum HAM Radio Club ». The Clubstation and Club-Chairman Herbert, HB9BOU, in the "Morse fever". Through interesting and alternate exhibitions in the museum "Clin d'Ailes", the club has as a goal making available to the public Air Force and civil radio and telecommunication equipment collected over the years. On the other hand he wants to integrate radio as an important element of military aviation in the exhibition. This is done by operating the ham radio station HB4FR. In this way, it is possible to arouse, among the many visitors, the interest for the radio technique and, while passing, that for the radio amateur service.